Take your time to rest and explore the wonders of our magnificently restored historic hotel and enjoy the many amenities we have to offer. La Posada is open to the public every day from 7 am to 9 pm unless reserved for a private event. Self-guided tours are available daily; guided tours by Winslow Harvey Girls may be arranged by advance reservation. Keep in mind that La Posada is a hotel, residence, and private museum. Make yourself at home, but please respect the art (never touch a painting) and the privacy of our guests. To reseve your room call us at 928.289.4366. We also welcome tour groups, but you must reserve well in advance. The total room fee will be taken as a deposit in advance to confirm your reservation. If you would like to cancel, you must do so 7 days prior your arrival date to receive a full refund of your deposit. Our rooms don’t have phones; however, you can make calls and receive messages in the lobby or use one of the public phones in the restored booths. Please lock your room whenever you leave it; we cannot be responsible for lost or stolen items. La Posada is committed to being fully accessible to all visitors. As each area of the hotel has been restored it has been brought into full compliance with ADA codes. Please let the front desk know of any special needs and we will do everything we can to accommodate you. Well-behaved pets and children are welcome at La Posada; pets must be registered at check-in. Rollaway beds are an additional $10 fee. We require a a pet deposit of $60; $50 of this will be refunded at checkout if there are no issues. Please note that we no longer allow pets in the Turquoise Room lounge. Click here to download our pet policy (PDF), which you will be required to sign. La Posada is a nonsmoking hotel and smoking is not permitted any place within the hotel. A $50 room-cleaning fee will be charged for any room that has been smoked in. Items such as candles and oil burning lamps are also prohibited anywhere on the property. All rooms have cable TV and private baths. Internet may be accessed via Wi-Fi throughout the hotel; however, signal strength will vary based on the location of the hotel’s concrete walls. The strongest signal can be found in the ballroom and lobby. There are five different networks: Hopi, Zuni, Apache, Papago, or Navajo. A computer station for guests is located next to the front desk. We ask that guests limit their computer time to 15 minutes. A fax machine and printer are also available for use. There is no charge for the first five fax pages. There is a .75 cents per page charge for every page over five pages. Featuring a wide selection of fine Navajo, Hopi, Zuni and authentic Fred Harvey jewelry, Native American arts, Mexican pottery, folk art and books, the La Posada gift shop is open for purchases 24 hours, 7 days a week. Filtered water and ice are available at the machine located in the South Vestibule. Coffee, hot tea, and hot chocolate are available from 5:00 – 10:00 a.m. in the gift shop. Ice water and apples are available in the gift shop throughout the afternoon. The Arizona Daily Sun is available for free at the front desk. The Arizona Republic, USA Today and New York Times are available for purchase at the front desk. A wide selection of books and periodicals are available throughout the hotel and in the guest rooms. Guests are welcome to borrow books as they please. Please return books to the bookcase they were removed from at the end of your stay. All guests receive a copy of the self-guided walking tour for the hotel at check-in. This tour will inform the visitor about the history, art and architecture of the hotel through a series of historic (numbered) photographs found throughout the hotel. The self-guided tour takes approximately 45 minute to complete. Additional copies of the self-guided tour booklet are available at the front desk for $3. 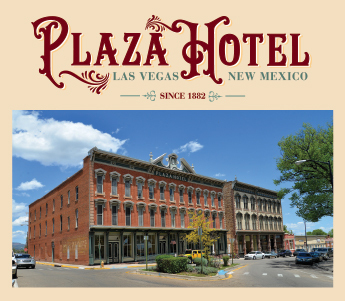 Three documentaries are available for viewing from 9 a.m. to 9 p.m. Off the central lobby “La Posada, The Last Great Railroad Hotel” takes viewers on a 1-hour, 39-minute tour led by owner and project manager Allan Affeldt. Viewers get a look behind the scenes and over time at the various restoration projects that have brought La Posada back to life. In Tina’s Gallery, located off the central lobby, artist Tina Mion takes viewers on a 30-minute tour of her paintings throughout the hotel. A new selection of Mion paintings is also on view in the Mion Museum located on the second floor above the lobby. In the main entry hallway, “For Mary” shows viewers what La Posada is like through the seasons. Created by David Herzberg, these documentaries are available in the La Posada Gift Shop. A variety of board games including puzzles, chess and Monopoly are available in the ballroom for your enjoyment. Croquet is available in warmer weather upon request at the front desk. A large, round, wooden play block table is also located in the northeast comer of the Ballroom. La Posada does not have telephones available in the guest rooms, but guests are welcome to use the phone at the front desk. A limited number of refrigerators is available free of charge for use in the guest rooms. It is recommended that requests for refrigerators be made at the time the reservation is booked. Guests also have the option of storing items in the hotel’s kitchen refrigerator. A limited number of folding cribs is available free of charge for use in the guest rooms. It is recommended that crib requests be made at the time the reservation is booked to ensure availability. A limited number of rollaway beds is available for use in the guest rooms. There is a one-time fee of $10 per rollaway regardless of length of stay. It is recommended that rollaway requests be made at the time the reservation is booked to ensure availability. Due to fire code restriction a maximum of one rollaway is allowed per room. The 3,000-square-foot Mion Museum is located on the second floor above the hotel lobby. The museum features a rotating selection of paintings and drawings and is open for viewing from 8:00 a.m. to 8:00 p.m. A number of Tina Mion paintings are also on view throughout the hotel including “A New Years Party In Purgatory,” which is located in the ballroom. The WAT (Winslow Arts Trust) Exhibit Room features exhibits highlighting the history and restoration of La Posada Hotel and the creation of the Route 66 Art Museum and gardens. The exhibit is open daily from 9:00 a.m. to 9:00 p.m.
Tina Mion’s art is on permanent display at La Posada Hotel, Plaza Hotel and Castaneda Hotel.